Jeff Vajay is the founder of Smart Athlete Physiotherapy and a lifelong athlete. A four year starter for the Quinnipiac University tennis team and an inductee to the university’s athletic hall of fame, Jeff had more than his share of sports-related injuries and long recovery times. When he graduated with his physical therapy degree, he knew he wanted to help athletes recover faster, so they could return to competition stronger than before. And Jeff has been doing just that. For nearly two decades, Jeff has worked with athletes from the NHL, NFL, NBA, ATP, WTA, MLB and US Olympic Track and Field, as well as various college athletes. He’s spent four years as a sports medicine therapist for the United States Tennis Association Men’s Professional Circuit and currently travels internationally as a Physiotherapist with the ATP World Tour. Since the beginning of his career, Jeff’s goal has been getting his patients back to doing what they love, whether it’s sports or simply walking their dog. But despite his success, Jeff became frustrated with the limitations of traditional physical therapy clinics. After helping start multiple successful traditional physical therapy clinics in the area he decided to open his vision of what physiotherapy should be. To further differentiate from the traditional model he helped develop PtEverywhere, a cross-platform practice management solution for cash based providers that improves patient outcomes and connectivity to their provider. 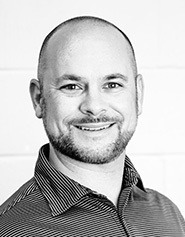 Michael Vita is the co-founder of Smart Athlete Physiotherapy and has been practicing in the areas of orthopaedics and electrophysiology over the last 19 years. He utilizes his wide array of knowledge in these areas to the benefit of the client. Michael has worked with clients ranging from chronic pain patients to amateur and professional athletes. He utilizes his extensive continuing education from the Postural Restoration Institute (PRI) to guide decision-making, and monitor progression objectively, so that clients can actually feel and see when things are improving. 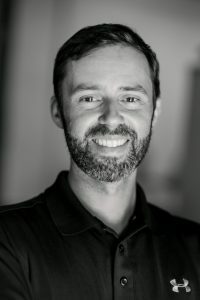 Michael incorporates various evidence-based approaches to evaluation and treatments including PRI, SFMA, Titleist Performance Institute (TPI), Mulligan’s techniques, Instrument Assisted Soft Tissue Mobilization (IASTM), Trigger Point Dry Needling, cupping, and KT taping techniques. He believes that comprehensive patient education, active role taking in the rehabilitation process, and consideration of the client, as a whole is important to realize the long-term benefits of treatment. When communicating with all clients he aims to educate you about how your body works. He will show you how we all have the ability to re-educate our mind and body to create optimal outcomes. Michael received his Bachelor of Science in Physical Therapy at Utica College of Syracuse University in 1998, where he also played lacrosse. He received his transitional doctorate of Physical Therapy from Rocky Mountain University of Health Professions in 2010. He also attended Rocky Mountain University of Health Professions for studies in Clinical Electrophysiology as a Doctor of Science candidate from 2005-2012. He obtained his Electrophysiologic Clinical Specialist designation from the American Board of Physical Therapy Examiners in 2007. 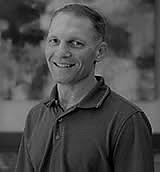 Jon Paryz earned his Physical Therapy degree from Daemen College in Amherst, NY in 1993 and became NSCA Certified as a Strength and Conditioning Specialist in 2002. Specializing in sports medicine, manual therapy and general orthopedics, he focuses his treatment of the body as a whole and on re-educating proper movement patterns. He believes a proper and thorough evaluation to identify the source of the patient’s dysfunction and symptoms is the key to long-term relief and assists in prevention of re-injury. Utilizing functional manual therapy as well as patient education he is able to help achieve his patients’ goals and speed the recovery process. Jon has continued to advance his manual skills, training and education by studying multiple approaches to physical therapy specializing in Dry Needling from Kinetacore, manual techniques from Maitland and Institute of Physical Art (IPA) as well as functional movement approaches from the Postural Restoration Institute, McKenzie, Gary Gray PT, Vern Gambetta, Gray Cook PT and others. Jon began his career in Florida where his love of sports medicine intensified working with professional, collegiate and HS athletes. Jon worked with touring tennis professionals and top-ranked juniors from both the Saddlebrook and Palmer Academies. He has taught national seminars to other physical therapists on how to evaluate and treat the tennis athlete and the bio-mechanics of tennis. He is passionate about working with new and seasoned athletes specializing in tennis players, runners and triathletes. In addition to working with top-ranked ATP and WTA professionals, he has worked with athletes from all major sports, including the NCAA, NHL, MLB, NBA, NFL, Arena Football, LPGA, US and Foreign Olympic teams and served as one of the physical therapy providers for the Carolina Ballet for 5 years. Jon lectures and teaches seminars on running bio-mechanics, injury prevention and plyometric training. Jon is skilled in evaluation and fitting of temporary shoe postings, permanent orthotics and proper footwear selection to normalize foot and ankle bio-mechanics and allow for more efficient movement patterns. He offers video analysis and functional exercise to aid in athletes rehabilitation and performance enhancement. Jon is also the owner of Stay Strong Physical Therapy and a self-proclaimed and proud PT geek. He loves discussing and reading up on the latest trends and approaches in therapy and sports training. Originally from the Buffalo, New York area, he and Debbie have fallen in love with North Carolina, where they stay active and raise their 2 boys Tyler and Josh and their lab mix, Jax . Jon enjoys coaching the boys sports teams and staying fit by cycling, running, playing tennis, roller hockey and competing in triathlons including B2B, the Raleigh 70.3 and Ironman Lake Placid.